Open enrollment for Obamacare is here … and former President Obama wants to make sure Americans know about it. The former president rolled out a video on Twitter and Facebook Wednesday touting many of the benefits of his signature health reform law. The piece was made for Get America Covered, a group of Obama administration officials trying to boost enrollment for 2018. The effort seeks to counter the Trump administration’s downplaying of the sign-up season. Trump officials have slashed advertising funding by 90% and cut support for outreach and assistance. Obama, who has kept a rather low profile as President Trump and congressional Republicans have sought to repeal the Affordable Care Act, extols several of the law’s most popular provisions. His goal in participating in the social media campaign is to help make sure that millions of Americans who aren’t already insured understand that they still can get coverage through Healthcare.gov, a source close to Obama said. It’s a direct response to what the former president believes is a wealth of “misinformation” about his legacy achievement. In the video, the former president advises consumers to shop on healthcare.gov, even if they already have coverage, because they could save money. And he urges viewers to spread the word. Obama is no stranger to marketing his landmark law. While in the White House, he made videos, appeared on late-night television and joined Zach Galifianakis on his mock comedy show Between Two Ferns. Meanwhile, Trump marked the start of open enrollment with a set of tweets promoting the repeal of Obamacare’s individual mandate, a key provision of the law which requires nearly all Americans to have coverage or pay a penalty. 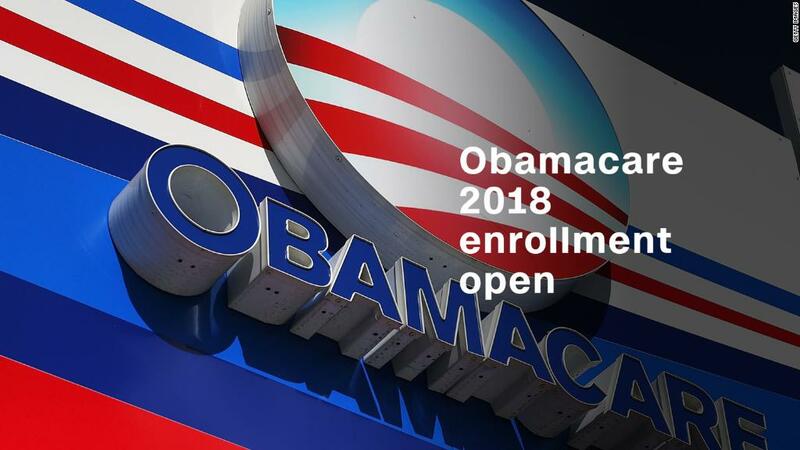 Wouldn’t it be great to Repeal the very unfair and unpopular Individual Mandate in ObamaCare and use those savings for further Tax Cuts…..
Open enrollment lasts until Dec. 15 in the more than three dozen states that use the federal exchange, healthcare.gov. Some states that run their own marketplaces are keeping enrollment open as late as Jan. 31. CNN’s MJ Lee contributed to this story.